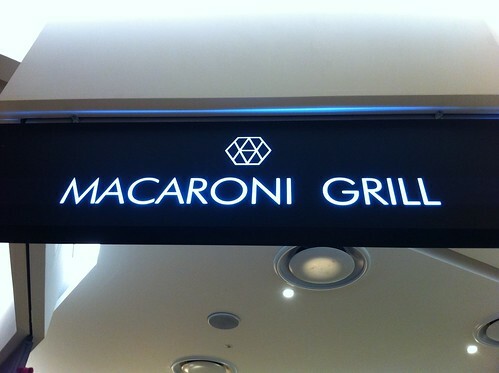 On the ninth floor of The World's Largest Department Store in Busan lies the Macaroni Grill. This place used to be partnered with Itaewon's Macaroni Market and even though they share the same emblem, they have since separated. 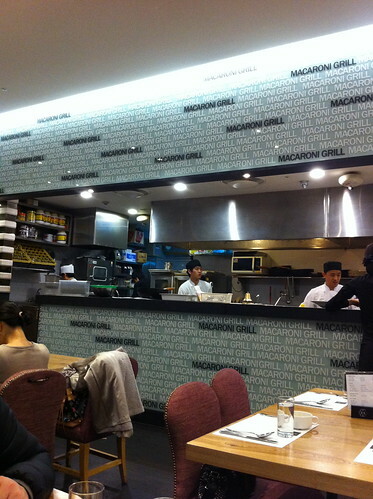 Macaroni Grill offers a range of dishes to its customers, but the main draw is the 17,000 won buffet. 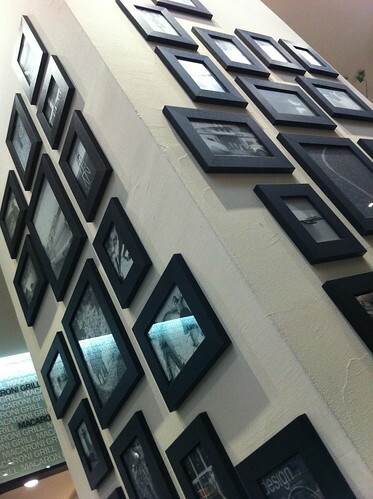 The modestly sized buffet includes a small salad bar, two pastas, one pizza, pus five or six other hot dishes of the day. 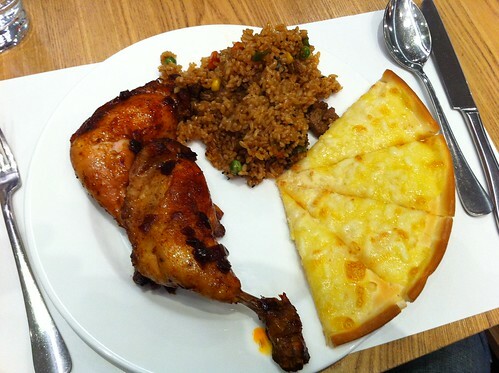 Plate Number One: Juicy roast chicken, decent fried rice and unfortunately sweet cheese pizza. Plate Number Two: More delicious roast chicken, a rather boring pasta bake and a green salad. 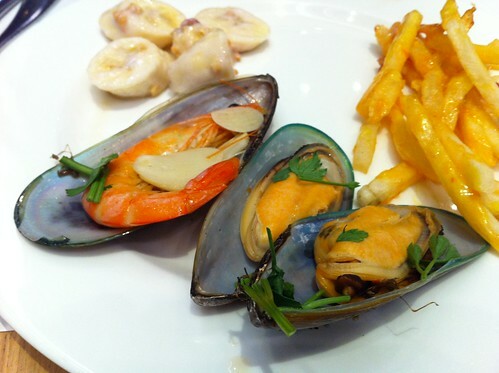 Random Plate: Bananas, cheesy french fries and steamed seafood. But now back to the roast chicken. 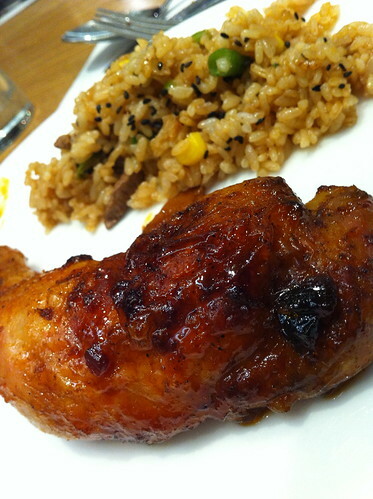 Crispy on the outside, perfectly cooked and slathered with a beautiful sauce. 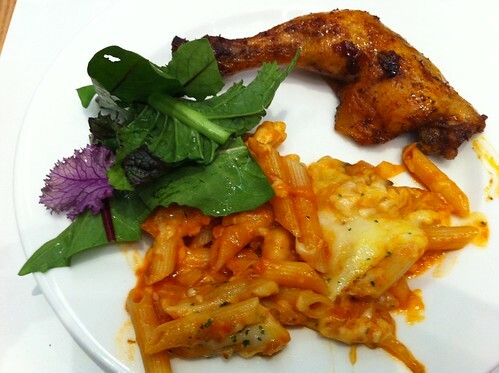 The chicken is the only reason to visit Macaroni Grill. The other dishes aren't particularly exciting (bog-standard buffet fare), but the roast chicken will keep any fowl loving carnivore happy. 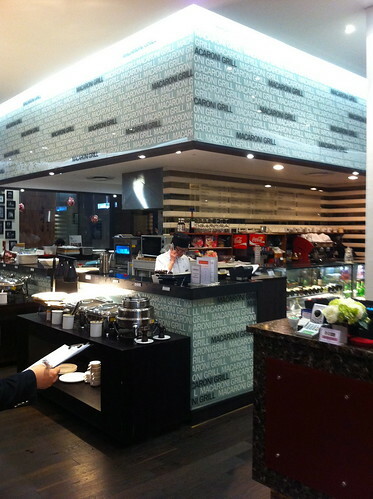 Macaroni Grill is located on the ninth floor of the Centum City Shinsaegae department store in Busan. If you're interested in their chicken you can give them a call on 051 745 1952.